50ft cable with a male XLR plug on one end and a female XLR plug on the other end. Quality balanced and shielded cable and each connector is completely sealed and molded. 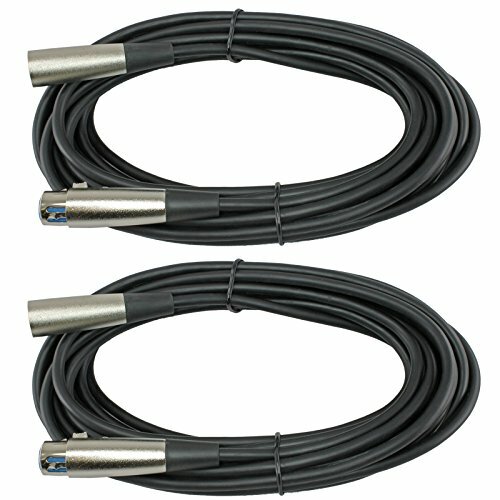 Professional, Flexible and Durable Noise Free XLR Cable. BALANCED AND SHIELDED. Common Uses: Microphones, Powered Speakers or anywhere you need to transport a balanced line level audio signal. An affordable flexible cable for your pro audio use.